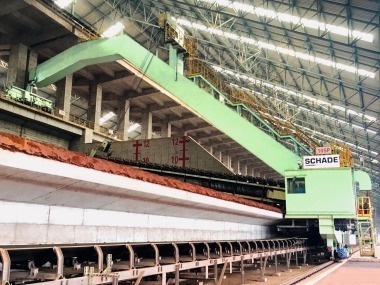 At the end of 2012, SCHADE Lagertechnik won one of the biggest orders in the history of the company, when Formosa Heavy Industries contracted 21 machines for the new Ha Tinh steelworks in the province of the same name in central Vietnam. Commissioning of the machines took customer requirements into consideration at every step and has been completed to the utmost satisfaction of all parties. 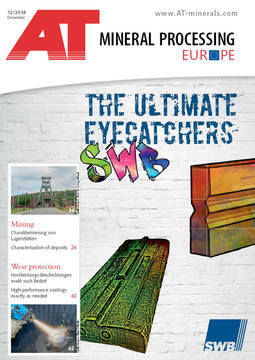 The SCHADE supply package comprised two tripper cars for the coal-fired power station and four for the steel plant. 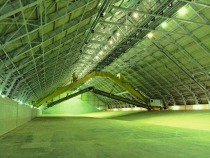 Each of them has a capacity of 4600 t/h. In addition Ha Tinh took delivery of six semi-portal reclaimers, with rail spans of 40.7 m and a reclaim capacity of 2000 t/h each. 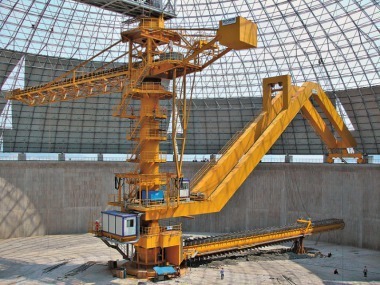 In the steel plant, a portal reclaimer with a rail span of 48.5 m and a capacity of 1200 t/h will be used, alongside two stackers with capacities of 300 and 3200 t/h respectively. 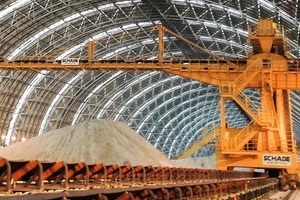 In the first stage of completion Ha Tinh will produce around 5 million tonnes of steel per year. 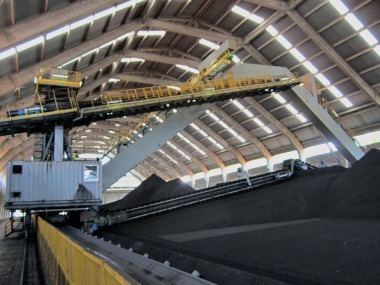 A two-phase expansion will follow, with production capacity initially increasing to 10 million tonnes and then reaching up to 22 million tonnes of steel per annum.